How Far Will $50 Of Gas Take You? For most of the past century, Americans have loved nothing more than to head out on the highway, get their motors running, and go looking for adventure in whatever comes their way. The crazy-high gas prices of recent years ($4 a gallon?!) put a damper on that pastime. But with today’s lower gas prices, the Great American One-Tank Road Trip is back, baby! The website HowMuch.net recently mapped out how far you can travel from the center of 35 cities on up to $50 of gas. 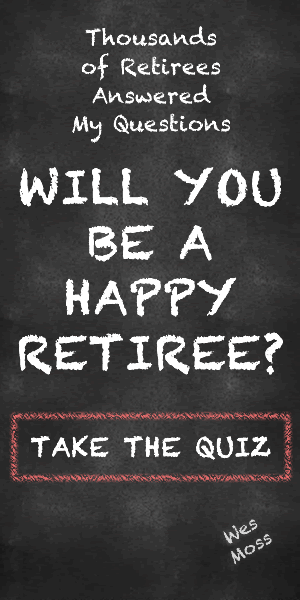 In researching my book, You Can Retire Sooner Than You Think, I discovered that the happiest retirees typically take more vacations than their less satisfied peers. The one-tank road trips you can plan using these maps might be the perfect for you to get away a few more times this year. HowMuch.net notes that cites in the middle of the country have tons of options at the outer edge of the $50 radius. From Chicago you can visit Niagara Falls on one tank. Denver residents can make it to El Paso, on the Texas-Mexico border. Drivers in the densely populated Washington-Boston corridor have a bevy of choices ranging from beaches to mountains to other cities, all on a single tank. My hometown of Atlanta presents a unique situation. The only other city we can reach on $50 of gas is New Orleans. But for $30 we can get to my favorite place on Earth, the 30A beaches on Florida’s Gulf Coast. South Florida residents are also limited in their one-tank options. They can go to Savannah, Georgia or… the beach. Lots of beaches. HowMuch.net based its calculations on an average 24 mph. At that rate, one tank can take you distances that you might consider flying. New York to Detroit, for example. If time isn’t critical, driving might be the way to relax and save money on airfare, which, unlike gas prices, is not a bargain. As a family guy who does lots of vacation driving, I’m thrilled that gas prices have come down from those killer $4 a gallon levels. But as a financial professional concerned with the state of the economy, I’m also glad we’re not at $1.60 a gallon anymore. Those prices were threatening the existences of energy companies and resulting in big layoffs. Current gas prices provide the best of both worlds. You can track the price of gas over the past several years by clicking here.